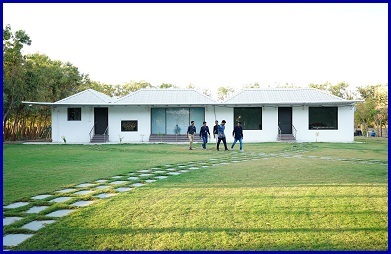 Guest House "Ichhaba no Visamo"
“Ichhaba No Visamo” is the in house sophisticated residential farm house facility to stay for the expert and eminent scholars invited at the institute. It has all the modern amenities of comfort and luxury in lush green peaceful environment. All the employees of the institute can stay with their family members at weekends to enjoy their leisure time pleasantly.